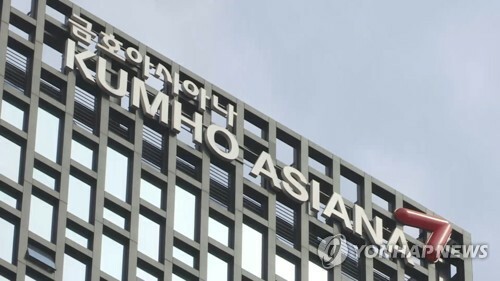 SEOUL, Jan. 15 (Yonhap) -- South Korea's military deleted its reference to North Korea's government and military as an "enemy" in its latest white paper, published Tuesday, a move seen as a reflection of ongoing peace efforts. In the 2018 biennial document, the Ministry of National Defense also omitted a set of what could be regarded as provocative jargon -- the Korea Massive Punishment and Retaliation (KMPR), a plan to incapacitate the North Korean leadership in a major conflict, and the Kill Chain strike platform. The publication of the defense white paper, available online and offline, came as Seoul is pushing for trust-building and arms control measures with Pyongyang in the hope of facilitating a lasting peace on the divided peninsula. The updated version instead used the term "enemy" in reference to broader national security threats, according to the ministry. 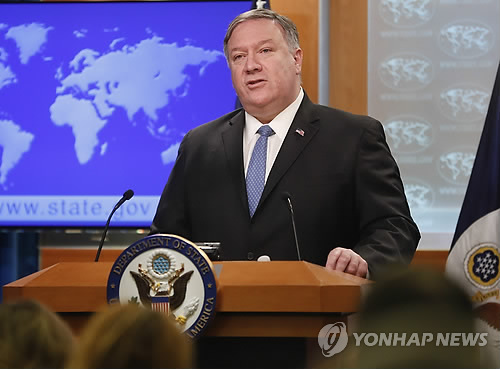 "The expression, enemy, is described as a concept that encompasses not only North Korean threats but also transnational and nonmilitary threats, as well as increasing potential threats," it said in a press release. 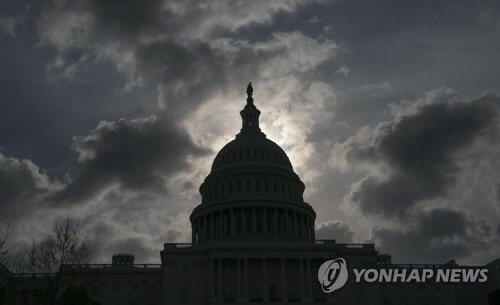 "(The white paper) also states that (Seoul) will make thorough preparations for all scenarios, including those involving the North's weapons of mass destruction (WMD) while considering the cross-border ties marked by efforts to reduce tensions and build trust following three inter-Korean summits in 2018," it added. 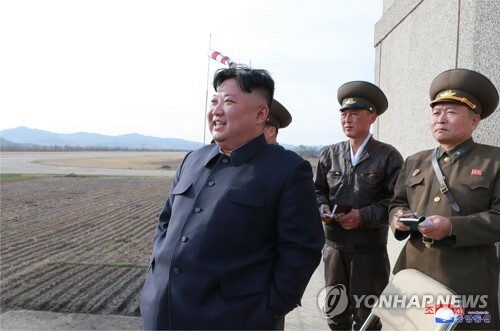 The 2016 version of the policy paper pointed to the North's WMDs, cyberattacks and potential terrorism as "great" threats to the South's security, saying that as long as these threats continue, Pyongyang's regime and military will remain "our enemy." 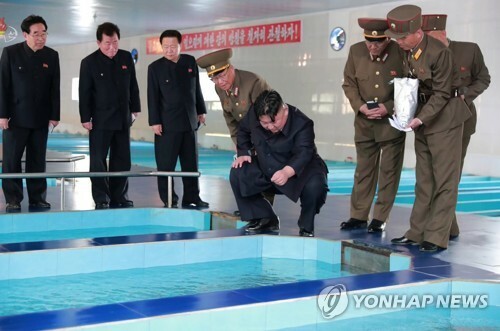 The deletion of the anti-Pyongyang terms has raised fears, largely among conservatives, that it could weaken the nation's defense posture, especially by sapping troop morale and discipline, while the North's nuclear and missile capabilities remain unchanged. The two Koreas remain technically at war as their 1950-53 conflict ended in a truce rather than a peace treaty. The latest policy paper described a series of notable changes in the North's military. Pyongyang has created a special operations battalion tasked with assassinating key hostile figures and designated a new Army specialty for special operations in a continued effort to beef up its special warfare capabilities. It is known to have 200,000 special warfare troops. Regarding the North's nuclear stockpiles, the paper offered the same evaluation as the 2016 edition. It estimated that Pyongyang possesses 50 kilograms of weapons-grade plutonium and a "considerable" amount of highly enriched uranium. 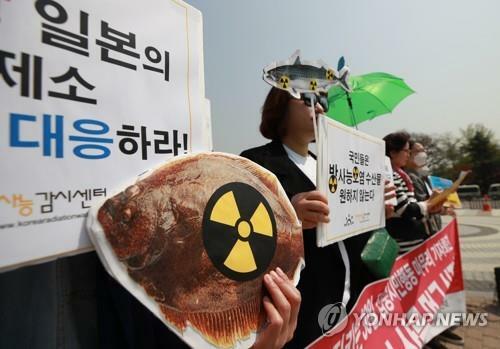 It also noted that the North's nuclear capabilities have been advanced through six nuclear tests since 2006 and that the North's technology to miniaturize a nuclear warhead has reached a "considerable" level. As for the North's weapons delivery vehicles, the paper said that the North has developed or currently possesses 14 kinds of ballistic missiles of various ranges, including the Hwasong-15 intercontinental one with a range of around 10,000 kilometers. The North's troops far outnumber the South's. The paper put the number of the North's active-duty personnel at 1.28 million -- more than double that of the South, which is currently about 599,000. The South plans to reduce troop numbers to 500,000 by 2022 under a reform plan aimed at creating a smaller but smarter military based on cutting-edge technologies, such as artificial intelligence, drones and robots. The paper also noted the North's recent efforts to build artillery capabilities. It has manufactured additional 122-mm and 200-mm multiple rocket launchers and deployed them along its coastal areas. It has also developed and deployed specially designed ammunition with enhanced ranges and accuracy. 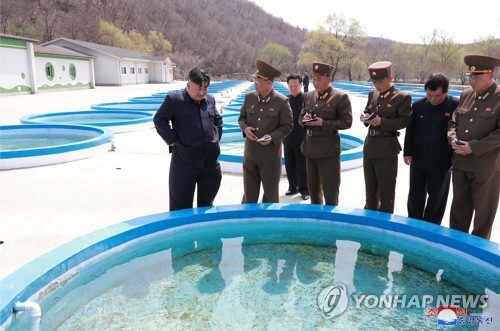 Though there hasn't been any notable change in Pyongyang's naval capabilities, the North appears to be constructing a 2,500-ton Gorae-class submarine capable of carrying a submarine-launched ballistic missile, the paper said. 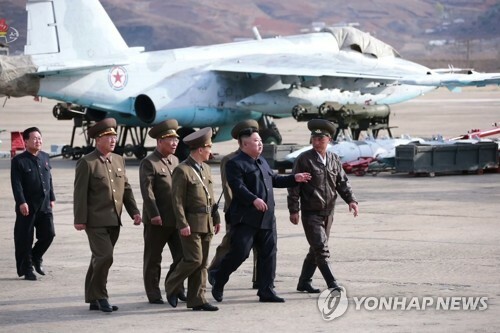 As for Pyongyang's military strategy, it raised the possibility that the North may resort to "asymmetric" military forces for a surprise attack to foster battle conditions favorable to it in case of an armed conflict. 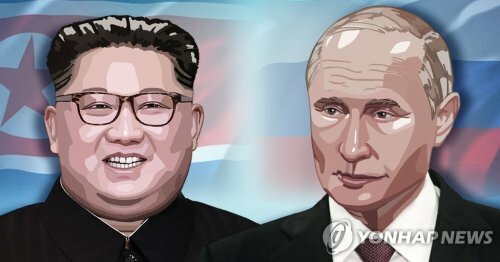 "However, given that the North has switched its military strategy in line with changes in the strategic environment, it could explore a change in tune with efforts for denuclearization and a peace regime on the peninsula and with progress in denuclearization negotiations," the paper said. The paper also underscored Seoul's determination to push for a series of confidence-building measures included in last year's inter-Korean military accord. 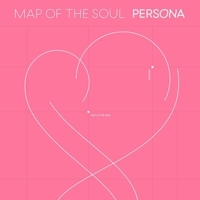 The measures include transforming the Demilitarized Zone into "a peace zone in a genuine sense," setting up a maritime peace zone in waters around the Northern Limit Line, a de facto sea border, and establishing direct phone lines between the military authorities of the Koreas. Seoul also seeks consultations with Pyongyang over the proposed removal of all guard posts in the DMZ following the destruction of some of them last year. "If all guard posts are removed, this will mark a significant factor in operational arms control," a Seoul defense official said on condition of anonymity. 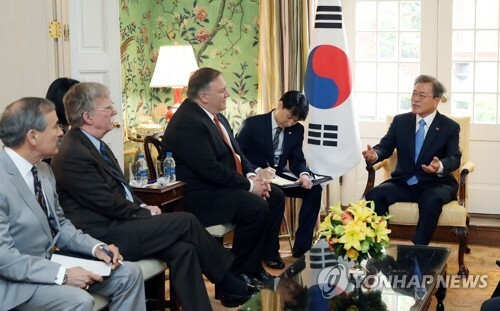 Regarding the relations between South Korea and Japan, the ministry omitted the depiction of the two countries as "sharing the basic values of free democracy and market economy." Instead, the paper said that they are "geographically and culturally close neighbors and partners for cooperation toward world peace and prosperity." Some observers said that the omission appears to reflect their ties that have deteriorated over a recent series of diplomatic spats, including the ongoing military radar row. 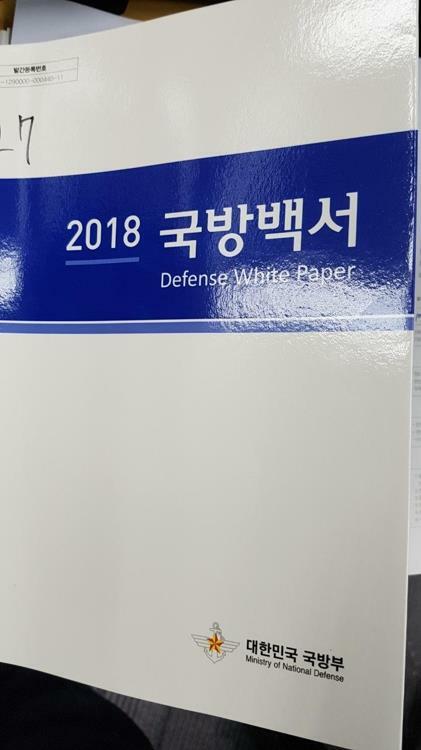 Since 1967, Seoul has published 23 defense white papers, including this week's publication, to enhance transparency in its policy and gain international support for its peace efforts on the peninsula and beyond.